Anuga is the world’s leading food fair for the retail trade and the food service and catering market, which takes place every two years in Cologne. 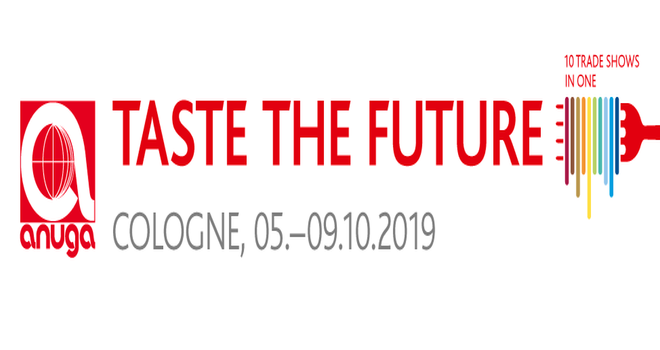 The ANUGA 2019 will be held from 05 to 09 Octomber, Koelnmesse, Germany. For trade visitors daily from 10:00 a.m. to 6:00 p.m.
For exhibitors daily from 9:00 a.m. to 7:00 p.m.
Why exhibit and attend ANUGA 2019 Cologne? The world’s largest trade fair is the most important industry meeting point as the figures of 2017 once again impressively demonstrate: with 7,405 exhibitors and around 165,000 visitors, it is clearly the number one event! For exhibition stand design and construction at ANUGA, please contact our sales team.